Local resident John and Janice Markley donate 350 bottles of top-flight wine to a benefit for The Wooden Floor, a Santa Ana youth enrichment program. One of the hottest tickets around is the Keep the Promise wine tasting at Big Canyon Country Club in Newport Beach on Thursday, Sept. 24, a benefit for Wooden Floor’s mission helping 375 students each year from low-income homes experience dance and pursue education. 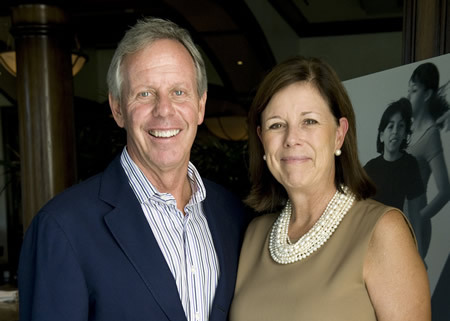 Over the past eight years, this wine tasting benefit has raised over $1.4 million, thanks largely to the efforts of John and Janice Markley of Laguna Beach, who each year collect and donate more than 350 bottles of top-ranked wine. “As the size of our graduating classes increase, so has the need for the tools and resources we provide for them to be successful in school and in life,” said Executive Director Dawn S. Reese. 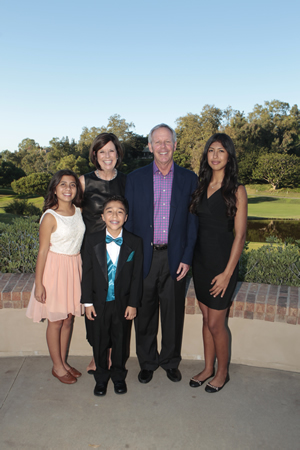 “With support from individuals like the Markleys, we are able to keep the promise we make to each of our students: from here, you can step anywhere. And that anywhere is on to higher education,” she said. Guests will taste from six red and six white wines ranked in the top of their region, including vintages from Argentina, Austria, Australia, France, Italy, and California. This year’s collection features wines that average 97 points, including two that retail for more than $200 per bottle and are rated 100 points each, the highest possible rating. Ticket are $350 per person, $250 of which is tax deductible. Sponsorships begin at $1,000. Visit TheWoodenFloor.org/WineTasting.for details.